Featuring Kelley Jones' signature take on the Batman, this moody reissued statue embodies the complexity of Bruce Wayne's alter ego. Perfectly complimented by the monochromatic tones synonymous with the "Batman: Black and White." Statue measures 7.75" high x 4.75" wide x 3" deep. 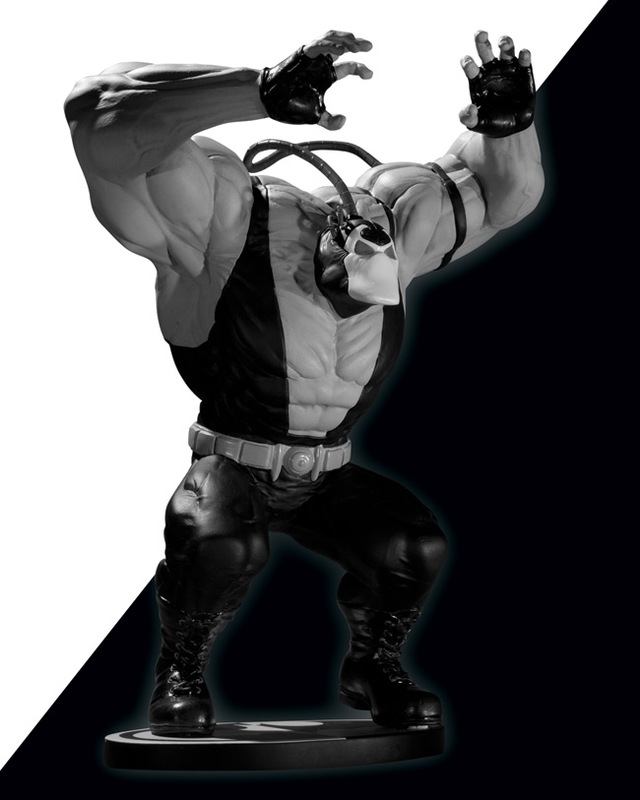 From Kelley Jones comes the villainous - and venomous - BANE! 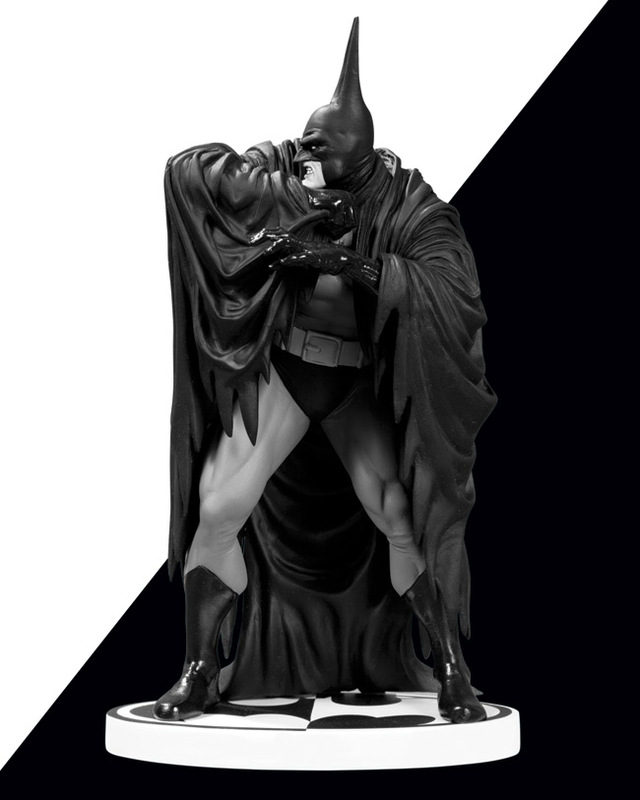 In the latest from the Batman: Black and White series, this statue's monochromatic tones pay fitting tribute to one of the Dark Knight's most powerful enemies. Statue measures approximately 8.75" high x 7" wide x 5" deep.